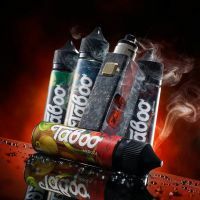 SHOTGUN FRUIT TOBACCO 80ML BY TABOO E-JUICE The Shotgun line includes three flavors: Raspberry Tobacco. Tobacco with raspberries. Blueberry Tob.. 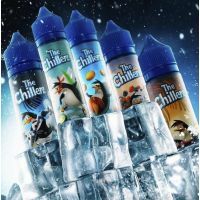 THE CHILLERZ 60ML BY TABOO The Chillerz is a product developed by two notorious wap producers. For the flavor component was responsible for "U..
TABOO SALT 30ML BY TABOO PROJECT FLAVORS: AIDA-Melon lemonade EVA-Apple marmalade bears MILENIUM-Raspberry milkshake PHANTOM-Red Curran..
TABOO E-LIQUID 60ML BY TABOO PRODUCTION The Taboo liquid is the fruit of the long work of the manufacturer, who knows the real price of love for ta..
HUNGRY 120ML BY VAPOR BAR Banana Pie. A rich taste of a sweet banana cake. Caramel Popcorn. Delicious caramel popcorn, from which you ca..